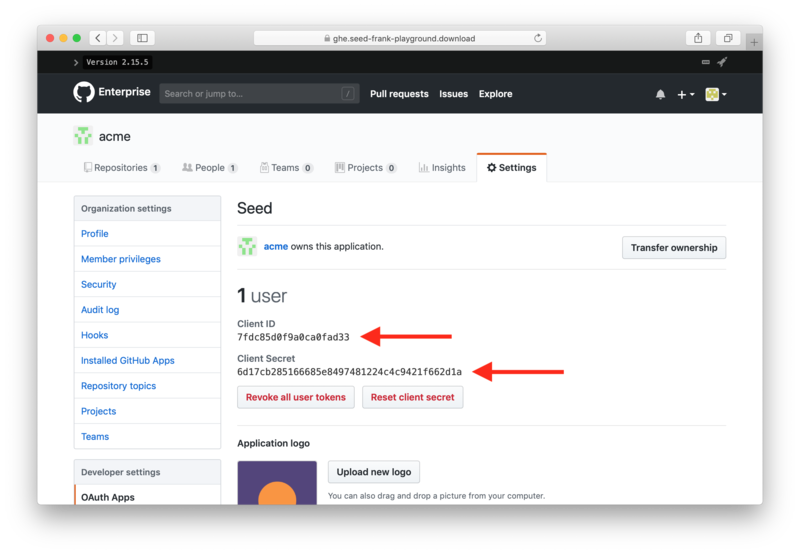 Seed can easily connect to your GitHub Enterprise account. 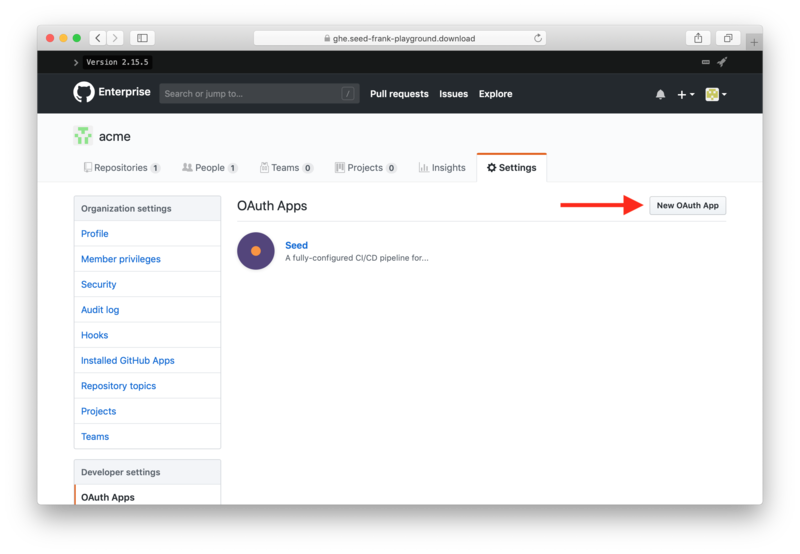 This allows you to add a fully-managed CI/CD pipeline for your Serverless apps hosted on GitHub Enterprise. 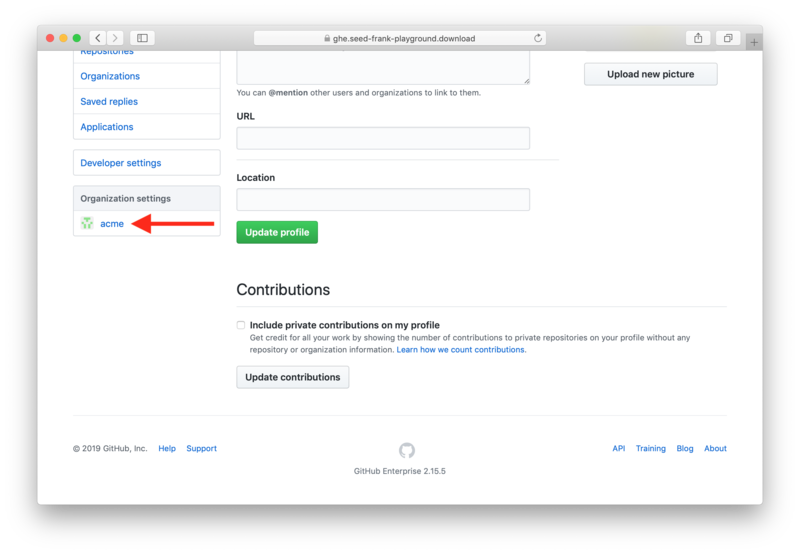 Note that, GitHub Enterprise support is available as a part of our Enterprise plan. You can read more about our pricing plans here. 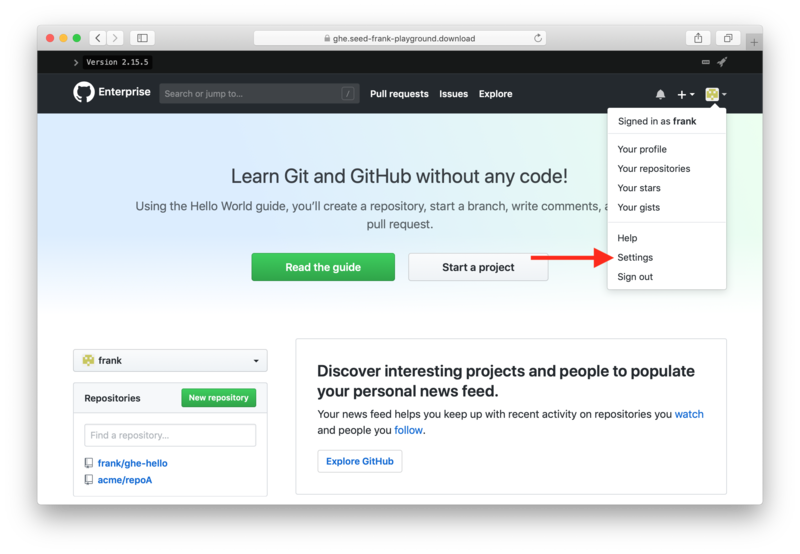 In this chapter, we’ll look at how to enable GitHub Enterprise for your organization on Seed. Start by creating an organization on Seed by following the steps in this chapter. 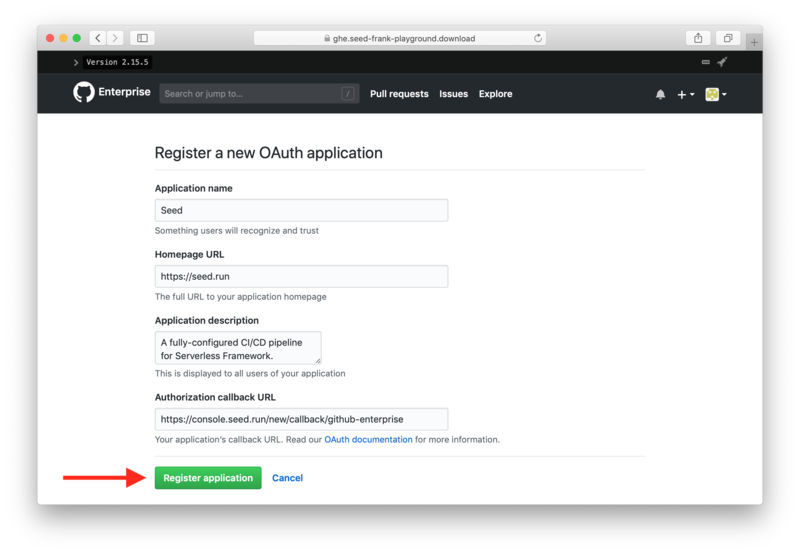 Next we’ll create an OAuth app for Seed on GitHub. Head over to your GitHub Enterprise Console. Click on your avatar on the top right and hit Settings. 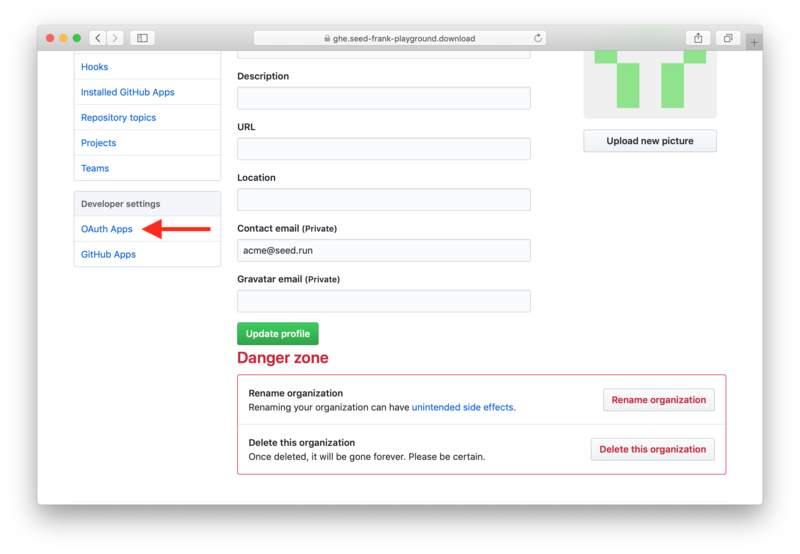 Click on the organization under Organization settings. Click on New OAuth App. Fill out the form with the following and hit Register application. Application description: A fully-managed CI/CD pipeline for Serverless Framework. (Optional) Add the Seed logo and colors. Copy the Client ID and the Client Secret. And we’ll have GitHub Enterprise enabled for your organization on Seed!